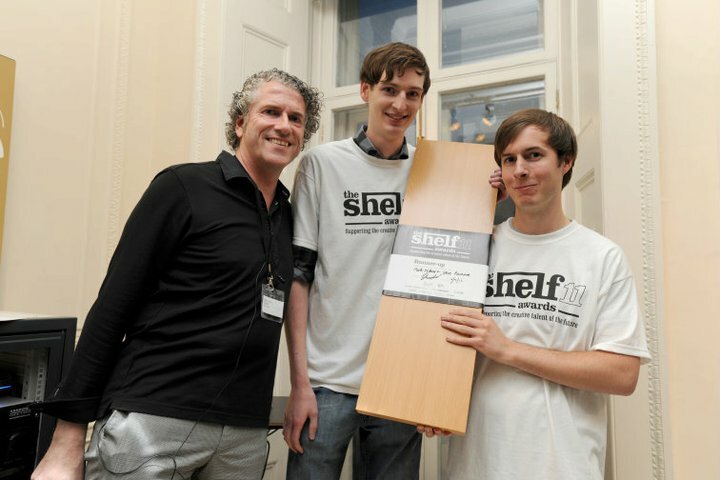 That’s where The Shelf comes in. 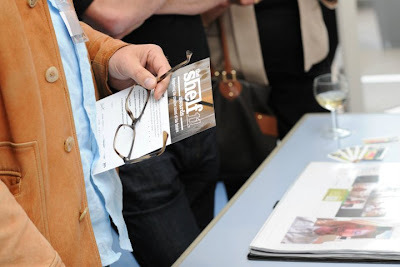 This annual event, now in its 11th year, connects the best creative graduates in the UK with leading art directors, copywriters, creative directors and recruiters. The graduates get an invaluable opportunity to network and showcase their work to industry experts while said experts get a chance to nab the freshest young talent around (and we mean that in the nicest possible way, obviously.) It’s a win-win situation. 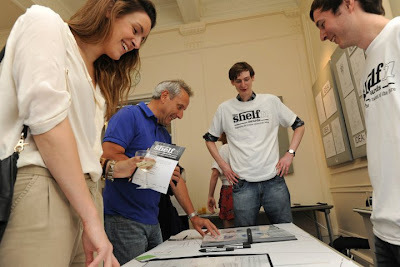 Especially as all guests get to judge and score the work on show. 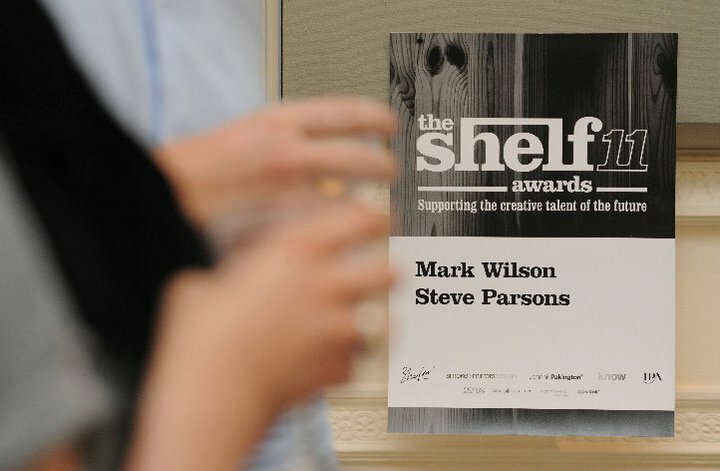 The Shelf was started in 2001 by Gary Sharpen and although it’s undoubtedly a fun, friendly and informal event, the end result couldn’t be more serious. 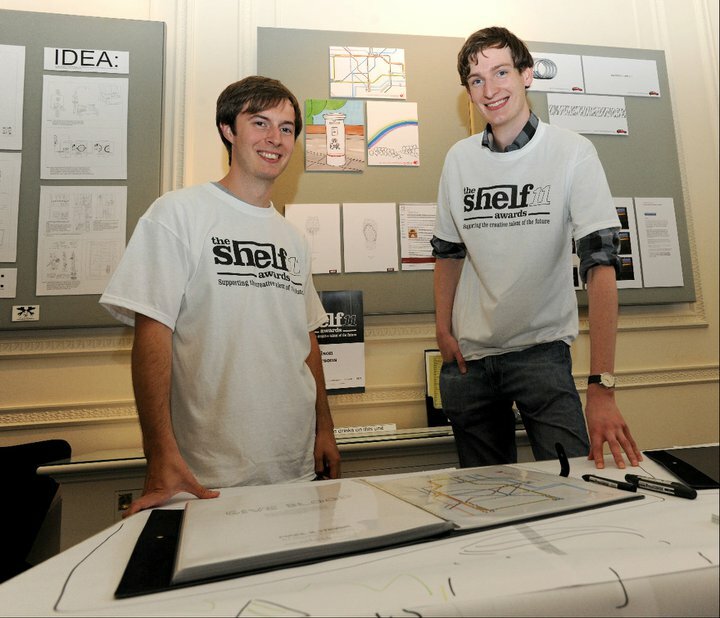 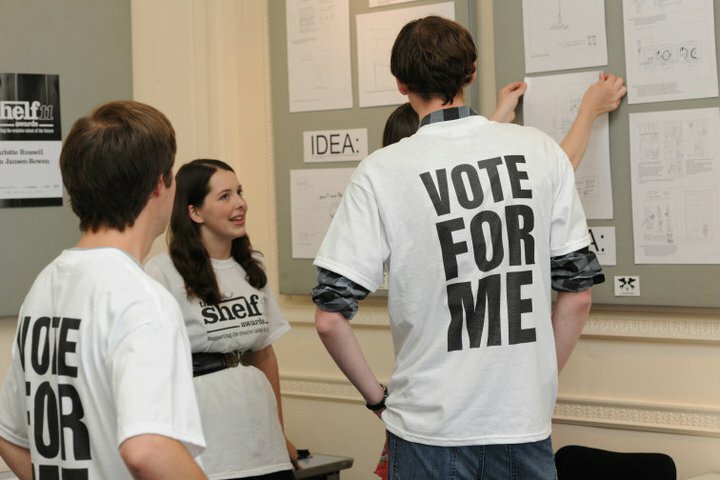 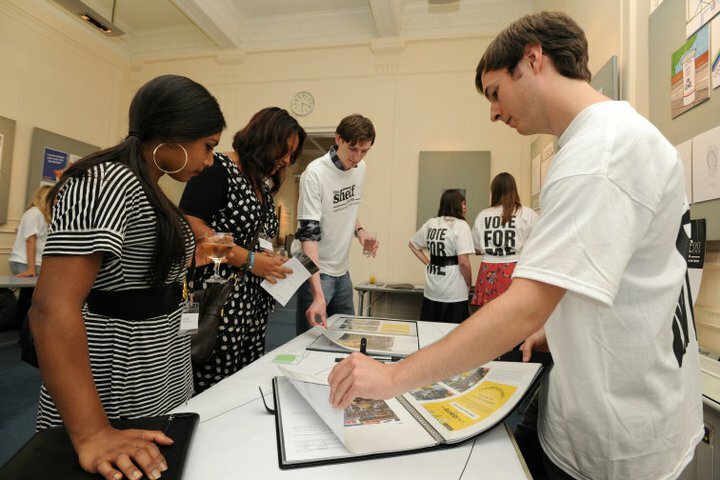 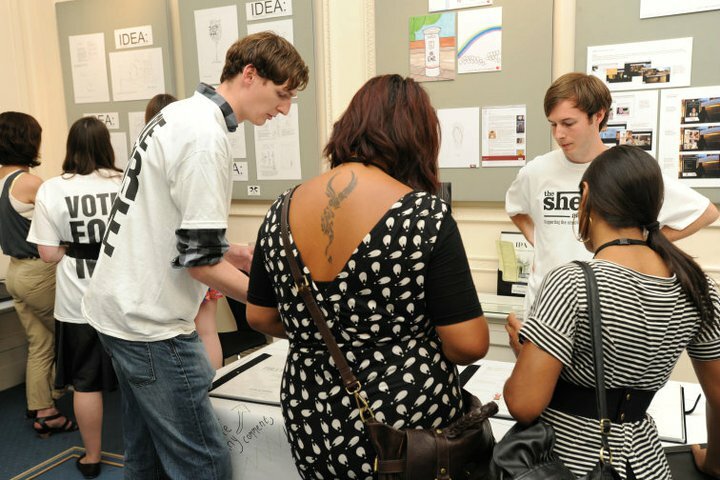 To date, over 120 students have benefitted from participating in The Shelf, either through making excellent contacts, securing work placements or, ultimately, gaining full-time employment. 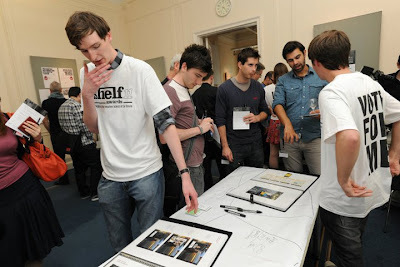 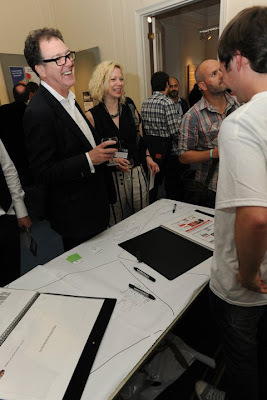 It was held at The IPA, Belgrave Square, London. It was a great networking opportunity for them. All the entrants had to wear vote for me on the back of their t-shirts. 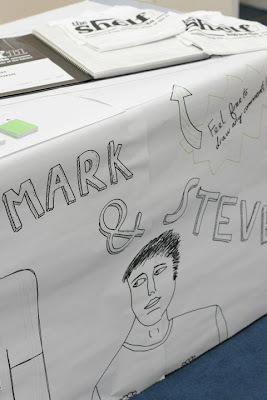 Steven and Mark, had a sheet on top of their table for people to write comments about their work. 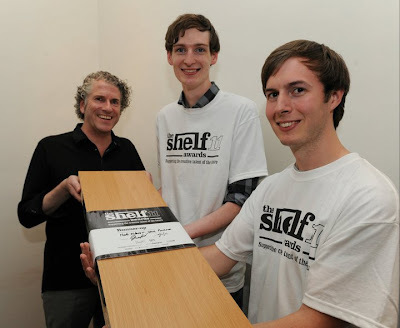 Steven and Mark came second place, winning a B&Q shelf to put all their future awards on.